Do You want to turn Your bad images into good one, and good images into amazing one?You don�t want to spend countles hours on watching courses and getting tips You dont need? Do You want to get course that is straight to the point � what�s right, and whats not? My name is Marcin, i am internationaly published fashion and beauty retoucher. And today I am coming to you with this amzing course on retouching essentials. I am going to teach you everything what�s important about non-destructive retouching. 1. I am going to show you how to do raw conversion to make your retouching easier � in camera raw, as well as in capture one! 2. I will show you how to clean up the image in non-destructive way � using just simple tools. 3. Probably most demanding part � I will show you how to do dodging & burning. Also I will deliver you actions which help you to speed up your worflow. 5. I will show You how I work with colors � how to work selectively with certain areas like shadows highlights and midtons to adjust colors. 6. Final touches � my final steps to make sure your image � will look perfect. What else � resourses that supports your work in photoshop and exercise files. Lifetime acces to course, and my personal support. 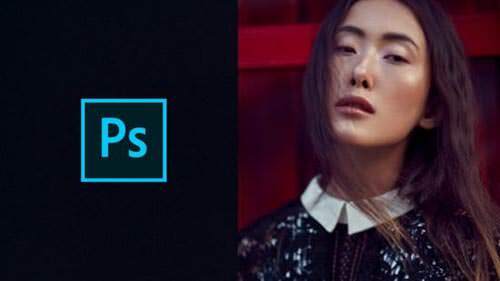 [Tutorials] Photoshop CC: Retouching in no time with Actions!